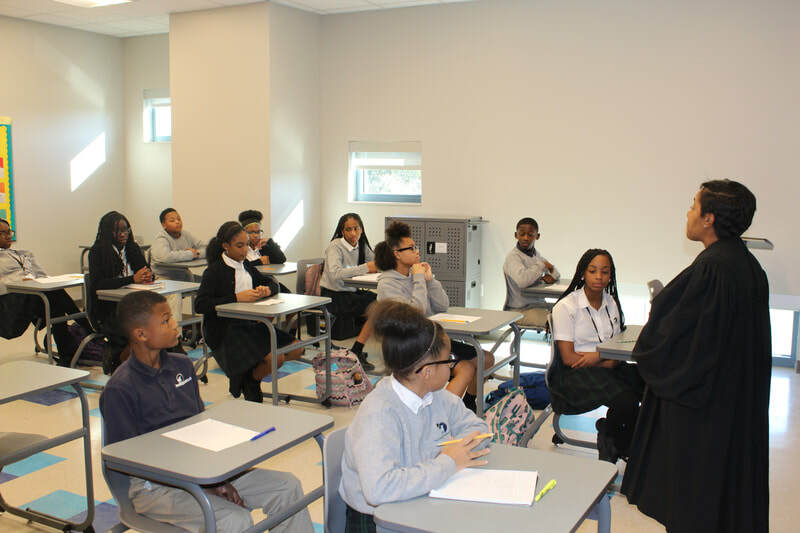 Students in the 7th grade have been working on their PBL which has them researching how bonds are set in New Orleans. 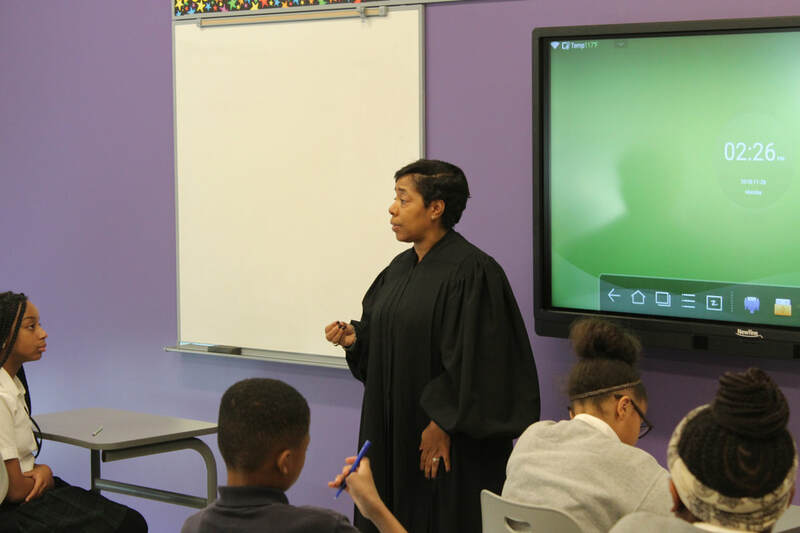 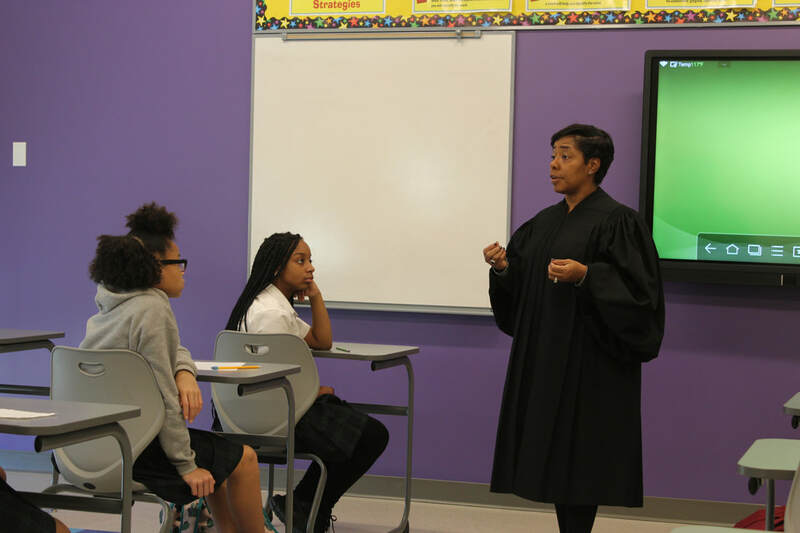 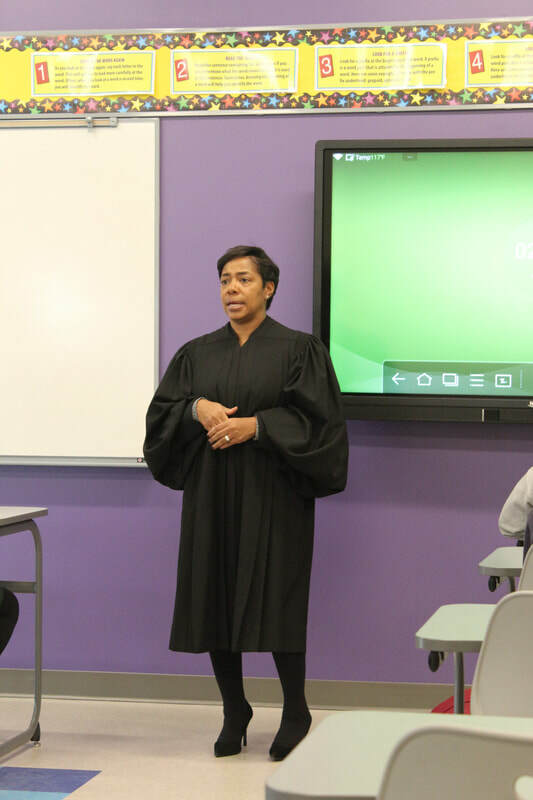 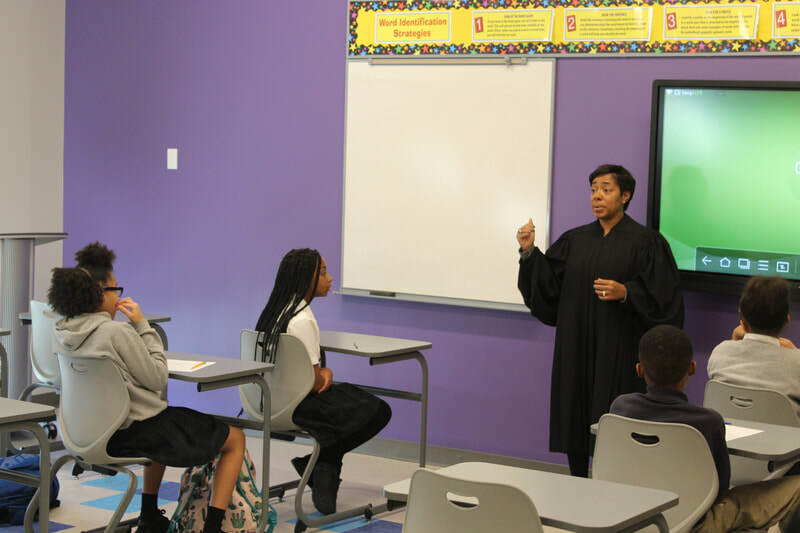 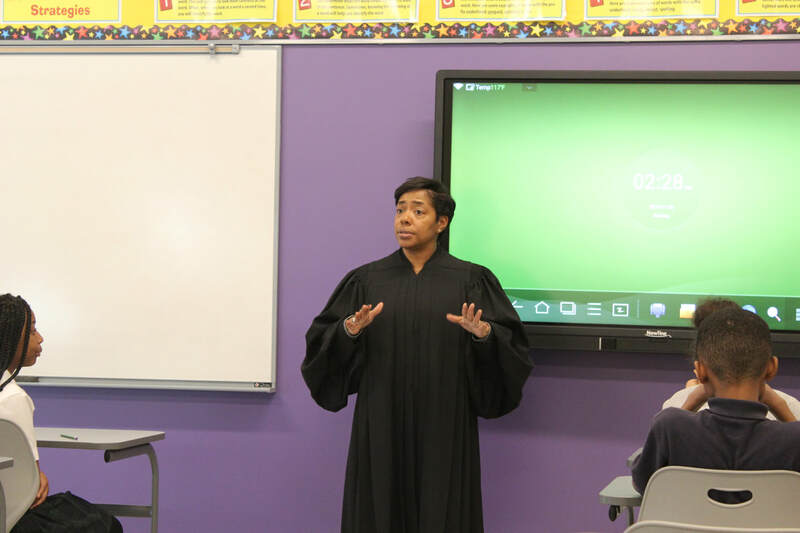 Judge Robin D. Pittman, a native New Orleanian, who has been serving as Judge for Orleans Parish Criminal District Court, Section F, since January of 2009 came to speak to the class. 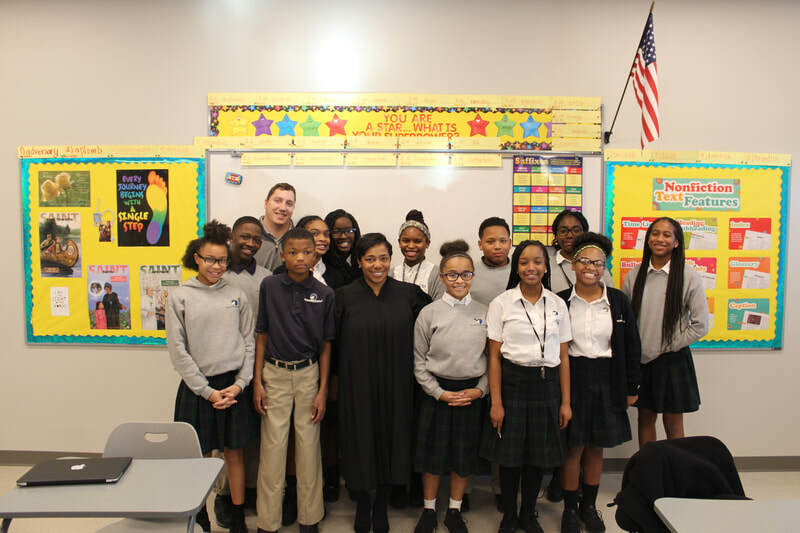 We are so grateful for the gift of her time. 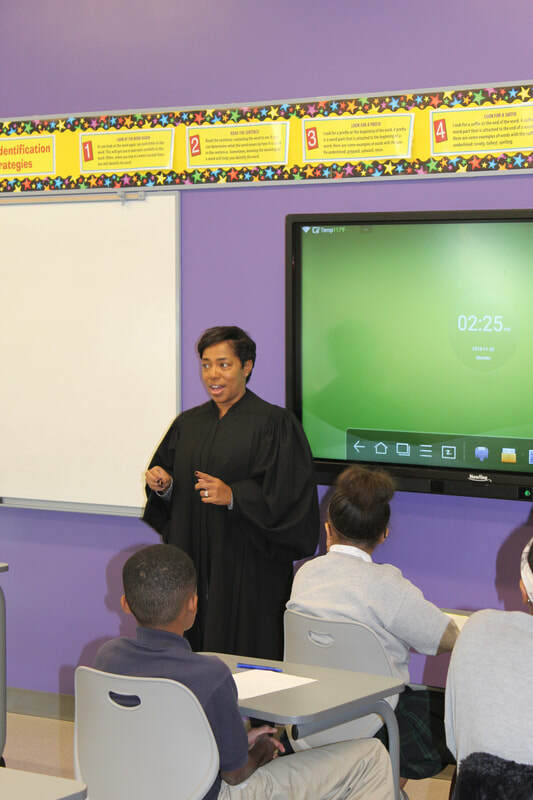 Students will next visit Judge Pittman's courtroom as a field experience.